Offering the very best dance training, Bojangles Dance is the longest established dance school in Lichfield. We are extremely proud of our highly qualified teachers and wonderful students. At Bojangles, we set our standards high, but we also ensure we have fun and enjoyment in a safe environment. With three purpose built studios, we are fully equipped to teach classes in comfort. All studios have sprung dance floors, mirrors and barres, with plenty of free car parking on site. There is a newly refurbished waiting and coffee area for parents and an onsite shop (In-Tune Dancewear) for all of your uniform needs. At Bojangles, we acknowledge that each pupil is an individual and we encourage and allow each one to learn at their own pace. Our experienced and enthusiastic teachers instruct each pupil to bring out the best ability, offering all the opportunity to enter for exams. We follow the ISTD and RAD syllabii and students have the chance to take examinations throughout the year. As we are the official Midlands Dance Centre for the ISTD, these exams take place in our own sudios, making the experience as relaxing as is possible for our students. We offer a wide range of Classical and Theatre classes for both boys and girls from 2 1/2 years to adults, on Saturdays and weekdays, to suit your needs. "​Bojangles is the official Dance Examination Centre in the West Midlands for the ISTD"
All of our teachers are highly qualified within their chosen genres and are continously attending courses to further their professional development and keep up to date with styles and teaching methods. Our most senior teachers both hold the highest teaching qualifications within the ISTD. Many of the Bojangles staff have worked professionally throughout the world. We feel that this helps to enhance the school curriculum and gives our pupils a more varied insight to the world of dance. We hold our own professionally produced 'must see' dance show at the Lichfield Garrick Theatre. Bojangles students are often invited to perform within the community at events such as the Lichfield Mysteries, Lichfield Festival, alongside operatic companies and in pantomimes etc. 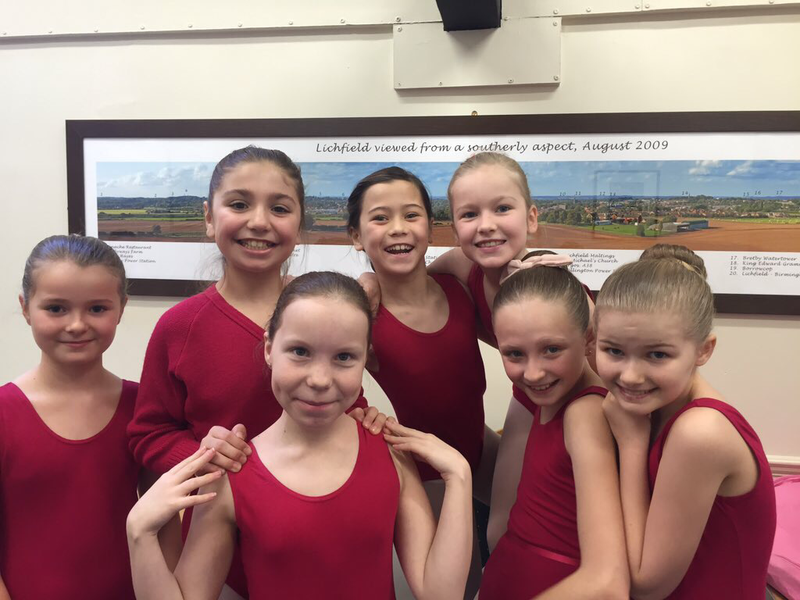 We also offer the chance to compete in nationwide dance festivals and ballet competitions.